Roy Halladay captured his 20th victory of the season last night, the first Phillie to do so since Steve Carlton in 1982. 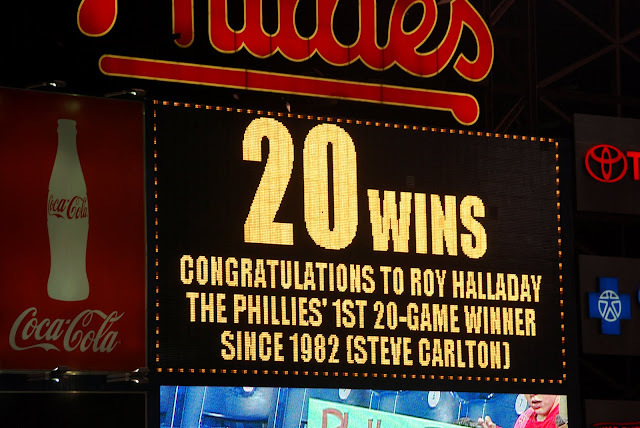 By beating the Braves for the second time in as many tries this homestand, as well as winning their season high 9th straight game, the Phillies have positioned themselves for another post-season run that could culminate in another parade down Broad Street. But wait! Isn't this a food blog? 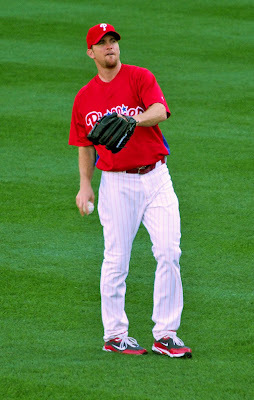 What do the Phillies have to do with Organic Bok Choy? Well nothing, but it was Food Trust Night last night at the game, hence the connection. 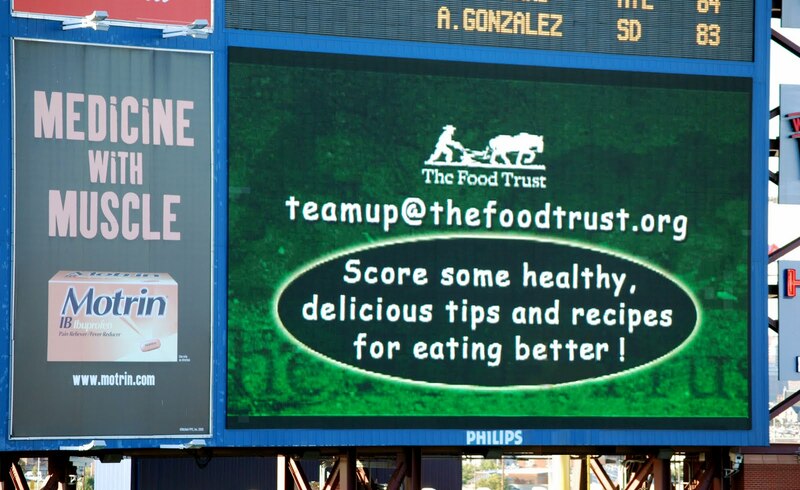 All season, The Food Trust has partnered (TEAM'ed UP!) with Brad and Lindsay Lidge to help educate families about the risks of childhood obesity, an increasingly ubiquitous problem in our society. Last night the Phillies Charities presented the Food Trust with a check for $10,000 dollars. Wow, that's a lot of cabbage! Now understand that this is on top of a nutrition and recipe advice from Lindsay Lidge AND their matching contributions at the Headhouse this season. I know, I'm gushing. I can't help it. The two things in life I am really into, healthy food and the Phillies were ingredients in some sort of hedonism soup that simmered for a little over 9 innings yesterday, boiling over with a white foam of rally towels. There, in the top of the 9th inning, Brad Lidge jogged out to the mound and shut down the Atlanta Cowards (sorry, Braves...but come on, a new pitcher in the 3rd inning???). As everybody celebrated, I wondered if his successful year has anything to do with his Food Trust partnership. Could one of the apples from the Headhouse be giving him energy and essential vitamins he needs to be a successful pitcher? To the kids reading this - ABSOLUTELY! We sat in the Food Trust section and saw many people we knew. Noelle sat next to a couple, one of which was having a birthday. I think Noelle got covered in confetti which wasn't enough to rival the mound of peanut shells which built up around my sneakers like autumn leaves at the base of a stocky tree. Noelle roasted them at home and brought them - I am happy she came. The Phillies look great. Like I said, they have won 9 in a row and this is a great time to be on a roll, so close to the post season. Jayson Werth looks like he has his stroke back, and the pitching is, as Sarge Matthews would say, ridiculous. So there you go. The Food Trust looks good, the Phillies look good, I am full of peanuts and everybody had a great time. I can't wait until October - playoffs!!! And, of course, locally grown pumpkins. Of course! Awesome article! I was at the game too!